Phonographic Copyright (p) – Equal Vision Records, Inc. 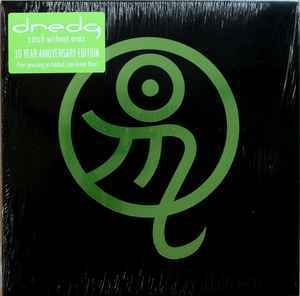 Copyright (c) – Equal Vision Records, Inc.
First, let me say that if you are looking at this LP you have a love for Dredg and listening to records. This is one of the best albums from start to finish as you probably already know but the pressing is not. I would say it's fair. This album deserved to be a double LP and on 180. I have to tweak my EQ tremendously to get a decent sound out of this record and it still comes up short in my opinion. I have heard this album hundreds of times and I feel a little disappointed with the quality of the sound. I don't know if it's due to the amount of songs being squeezed onto one record or because it is a mastering problem or maybe the copy that I received. If you are a Dredg fan and you can get this for 30 dollars, I'd pay it but I wouldn't pay the insane prices being asked by these scalpers. I pre-ordered mine and got it a week ago and sellers are already asking as much as 300 dollars which is a real shame. I will rip a track to youtube and include a link here at a later date for anyone interested in the quality.